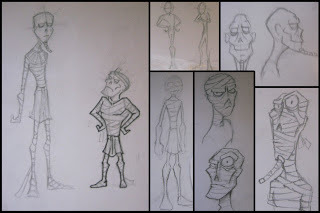 Below are concept images from our lovely artists. 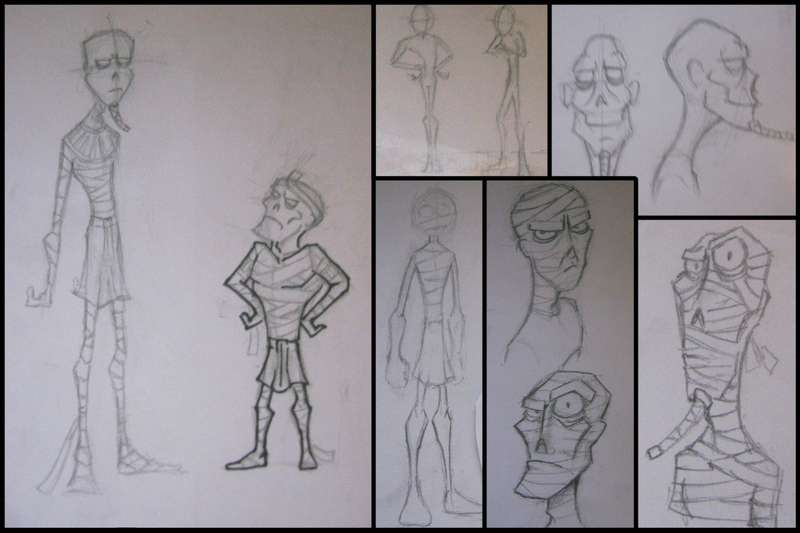 The bottom one is the current design for out characters, a tall weedy mummy and another short stocky one. 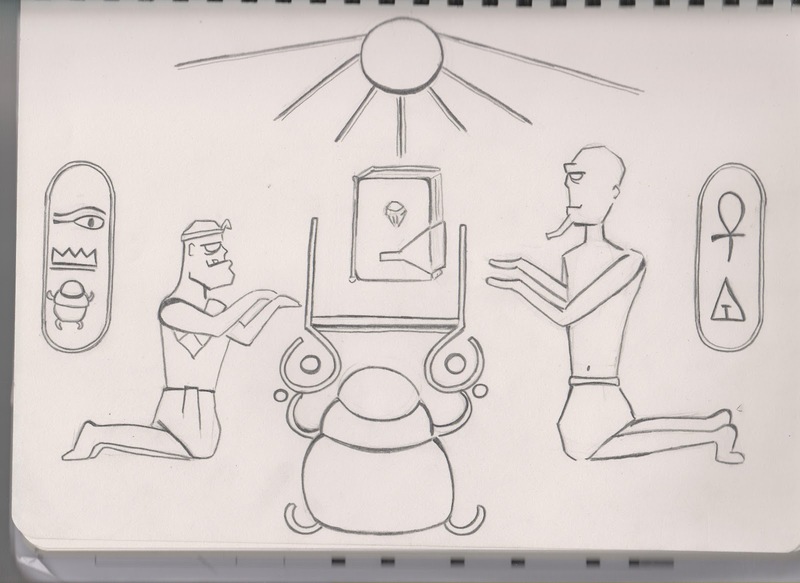 They have anger issues. 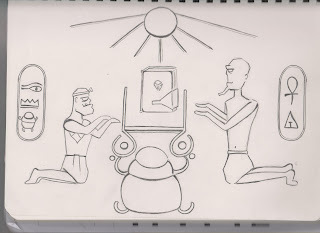 In the middle is a design for a hieroglyphic tablet which is going at the beginning to tell some back story. 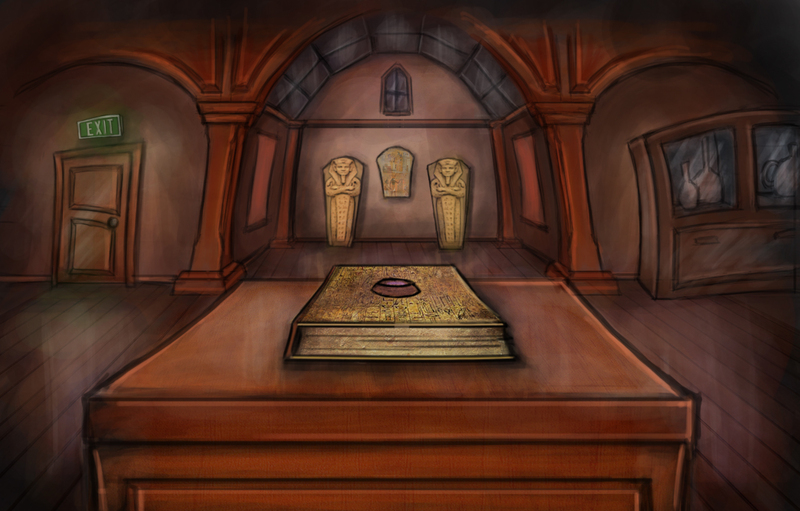 And at the top is a coloured set design, aiming for a museum look while still having a cartoony feel.